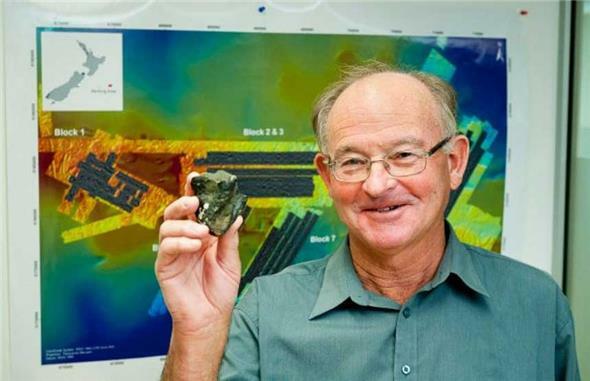 The aspiring seabed phosphate nodules miner Chatham Rock Phosphate Ltd (TSX-V: NZP; NZAX: CRP) will be showcasing its project at the National Field Days at Mystery Creek in Hamilton this week. The field days - the largest agribusiness show in the southern hemisphere - attracted more than 133,000 over four days last year and attendance in previous years has proven to be a valuable for Chaham Rock. “In recent months we have had significant interest from Waikato-based investors and it’s also timely to be discussing our product’s water and soil quality benefits with the multitude of farmers that will be attending,” Castle said. CRP has been making it clear to Government and departments that seabed phosphate on Chatham Rise would provide quality agricultural phosphate for New Zealand and had the potential to provide a product at a cheaper price than imported superphosphate from Morocco and its dependencies. The Chatham Rock stall will be manned from early Wednesday morning through to late Saturday afternoon. CRP said NZ’s current access to phosphate is vulnerable to economic and political events in the six countries controlling 98% of the world’s phosphate reserves, with 85% of the total in the Western Saharan state of Morocco. “Chatham takes very seriously the responsibility vested in it through its mining permit to use the world’s best knowledge and technology to safely extract this resource to help sustainably feed the world,” Castle said. Chatham Rock Phosphate’s Chris Castle.